A paid-for version of the free app, Thistoo, which claims to “deliver personalised service at a fraction of the cost of law firms” went live earlier this month. The unpaid version has been live since December. Although in the UK, law firm Mills & Reeve has a divorce app, which has extensive FAQs, advice from family lawyers, and guides to legal and financial processes involved in divorce, Thistoo will give couples using the app access to a database of previous court cases to help them understand how their divorce is likely to resolve. Under the banner of “Your personal divorce assistant”, the app was created by Samuel Witherspoon, a law graduate who spent a year as a clerk to the Federal Court of Canada. The company he founded, Miralaw, has the strapline “fixing the legal process for the average consumer”. 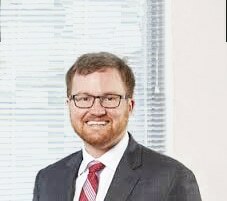 Mr Witherspoon told Legal Futures that he hoped to launch the app in the UK eventually because “my instinct is that since we are Canadian and operate with a very similar set of laws, it would be a quick transition”, but his immediate focus was to roll out “across Canada by Q3 2016 and then in selected US jurisdictions by Q1 2017”. The company was in the middle of raising a second round of financing that he expected to close at the start of July 2016. “Investors’ appetite for this has been huge, especially amongst those who have experienced a divorce first hand”, he said. He added that the company planned to roll out “some of the more visible pieces of the data science work” underlying the app. “By June, users will be able to come in and compare themselves to historical case data and examine the financial impacts litigation will have. Couples using the paid-for version of the app, which has extra features such as document extraction and identification, and agreement monitoring, currently pay C$19.99 (£10.69) for a divorce application and C$189 for a separation agreement. Mr Witherspoon said consumer reaction had been “phenomenal”, adding: “Customers have already started using it in ways we didn’t even imagine. For example, one customer invited her soon-to-be ex and they each independently generated their own version of their separation agreements and then compared the differences. Mr Witherspoon stressed the objective of the app “is not to encourage divorce”. He said: “Our philosophy is that because this is a major life decision, tedious process should not be a source of stress and anxiety. “We want our customers to be able to focus on the personal challenges that accompany a separation… Our service smoothes one aspect of an otherwise bumpy process.